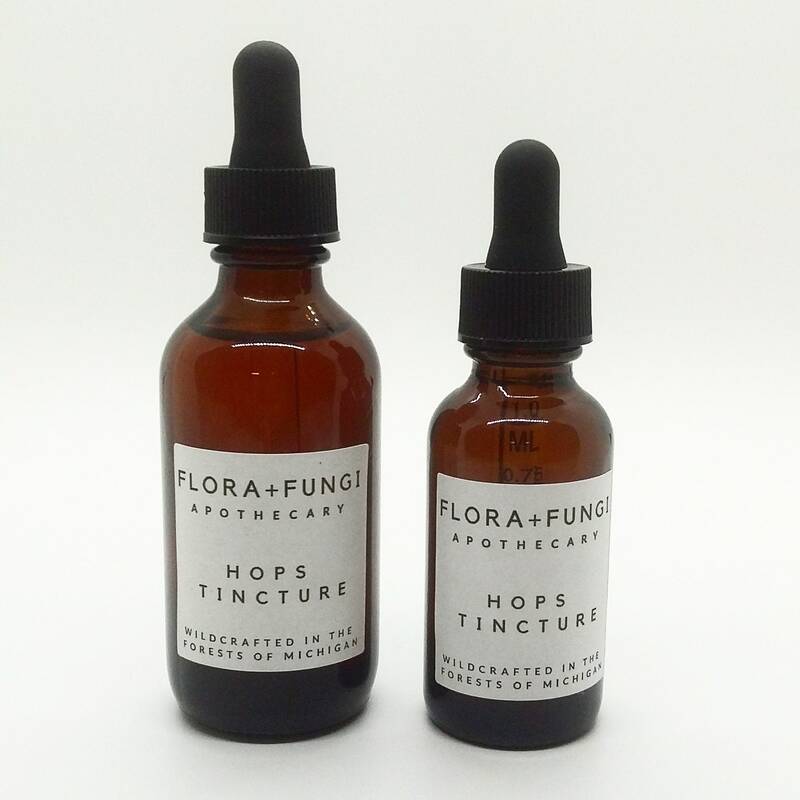 We make our Hops tincture with organically grown hops (Humulus lupulus) from our permaculture homestead in Northeast Michigan. 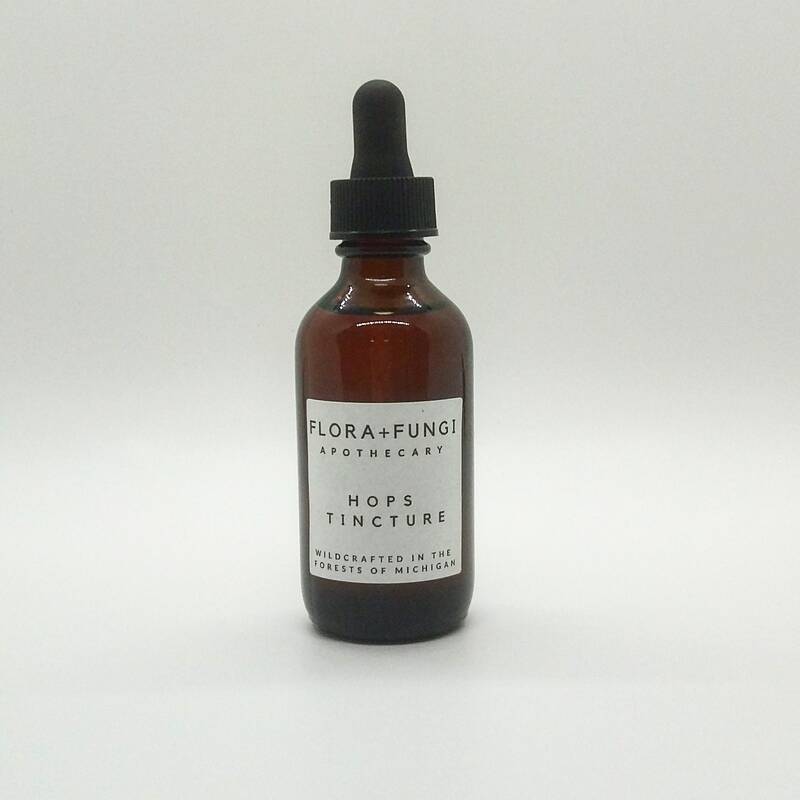 Our Hops tincture is a blend of “Sterling”, “Centennial”, and “Cascadia” varieties of the hops plant. 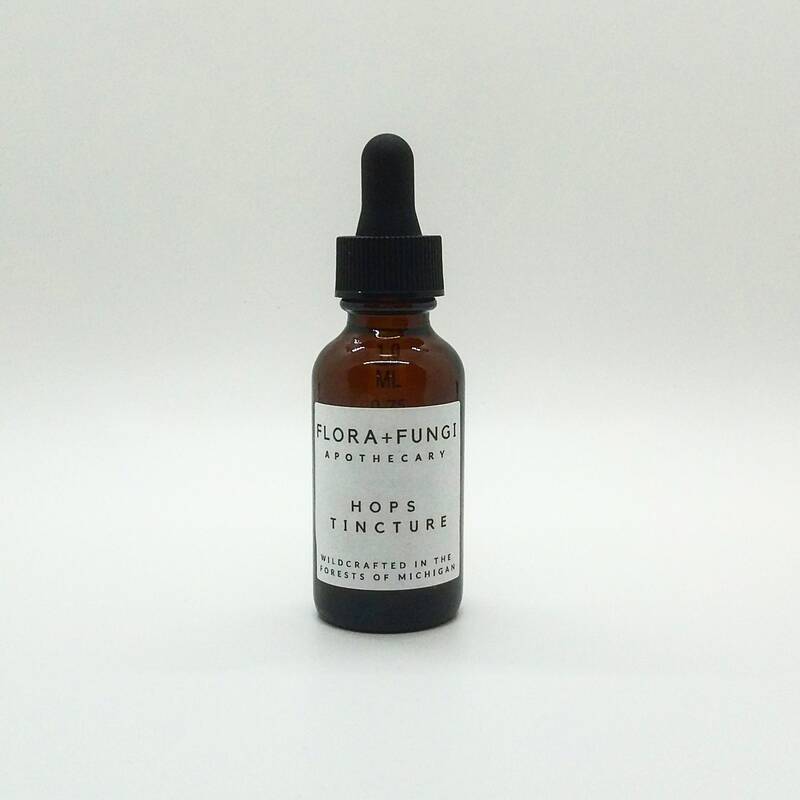 At the peak of ripeness, we harvest the cones and dry them for a variety of medicinal uses, including this tincture. 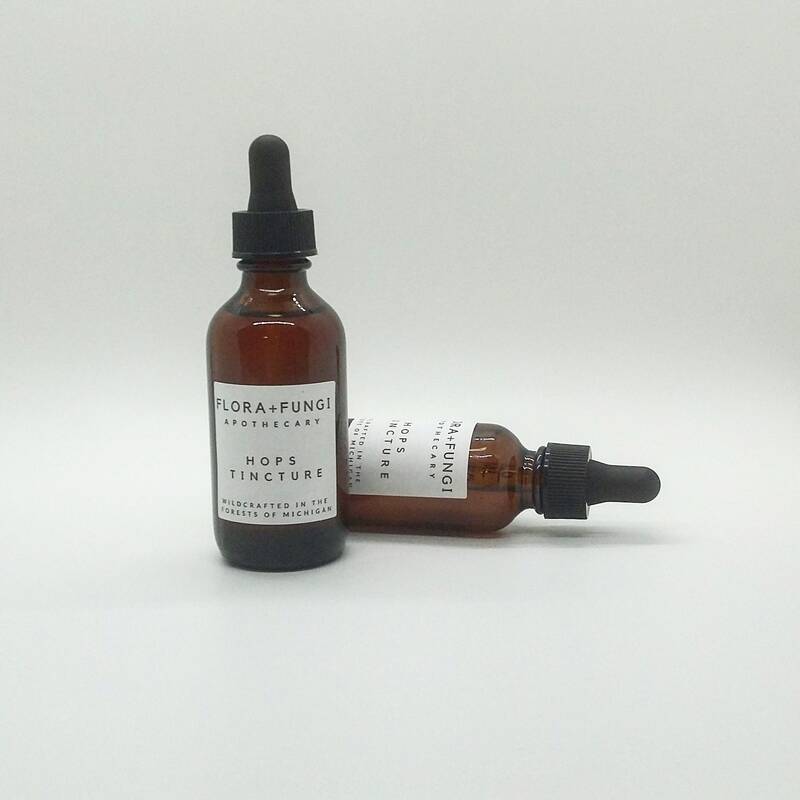 Hops is a relaxing sedative traditionally used for insomnia, anxiety and stress. 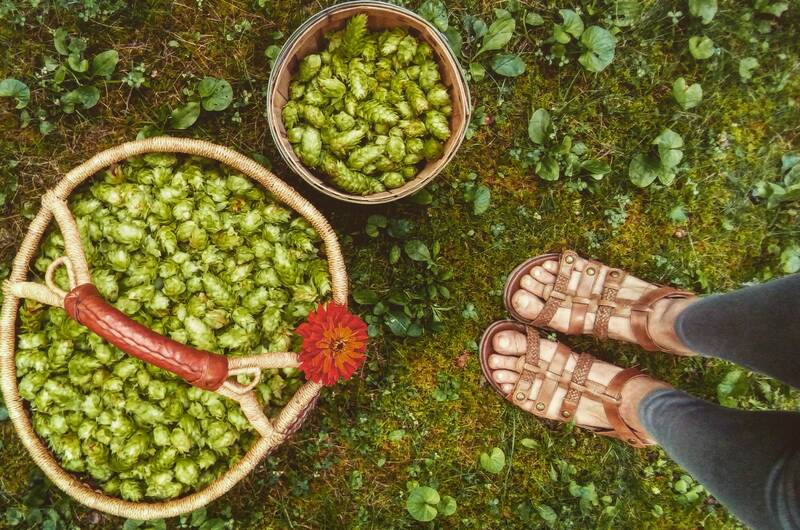 Hops can also be used for treating digestive issues. 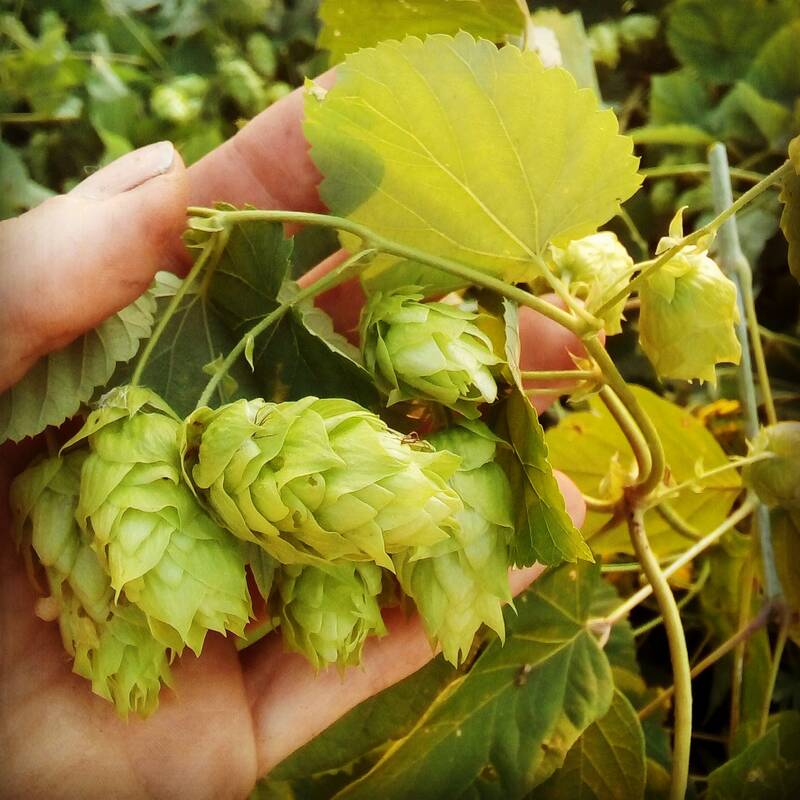 Hops are wonderful for the immune system since they contain antibacterial, antiviral, antimicrobial and antibiotic properties. 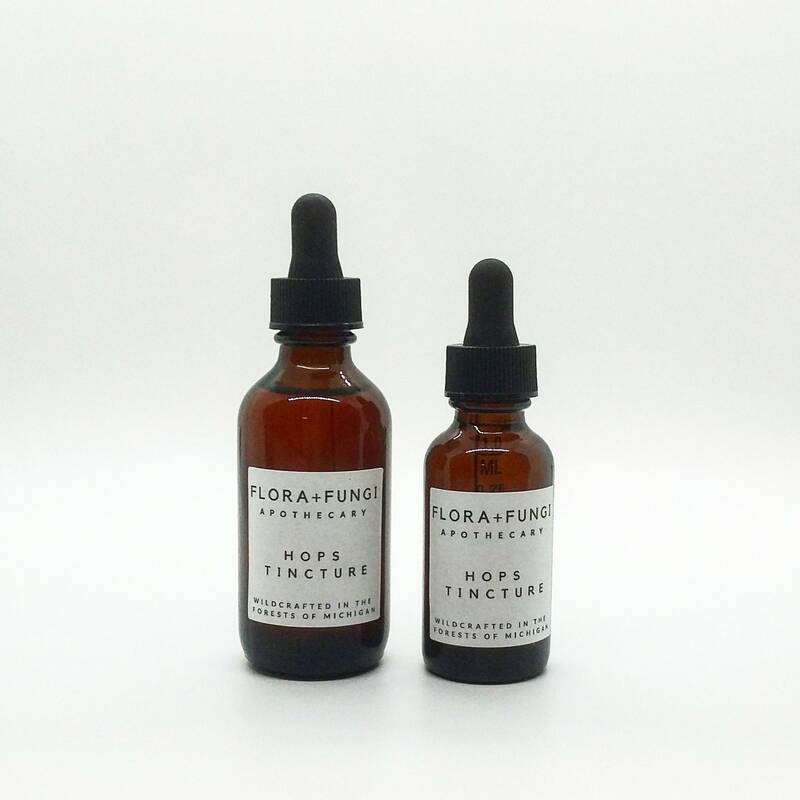 We recommend taking this tincture on a nightly basis as a natural sleep aid.